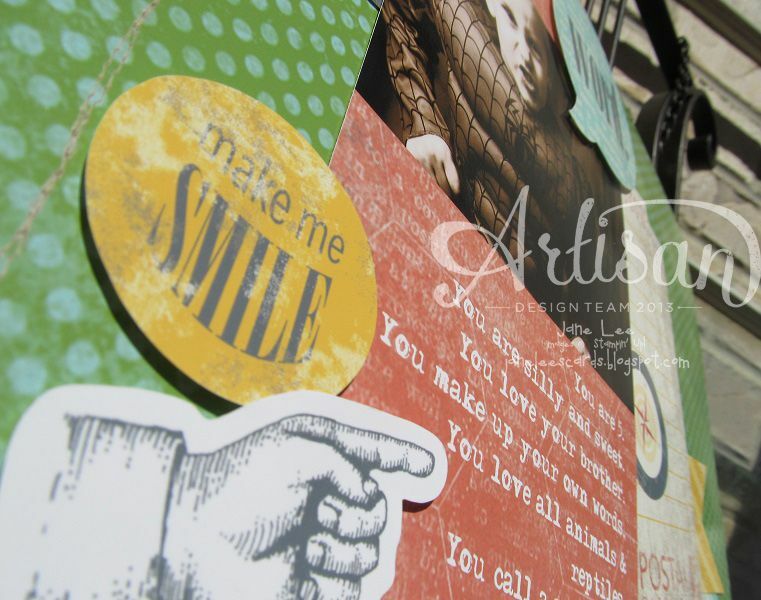 Welcome to the 2013 *new* Artisan Design Team Blog Hop. Wow, that was a mouthful! You are on day 9 of the hop. If you forget to hop through all 10 blogs a day, you can follow our Pinterest Board. My kids say the funniest things. Every once in a while they make up their own words. They're really quite clever. So glad I made a page for these words or I'm sure I'd forget them. Great page Jane! I already recognize this as a 'jane' page! Such a fun scrapbook page. Awesome! A great documentation of your boy that he'll love looking at in years to come. That says a lot about a boy, but it says more about the loving mother! !